This is Britini, one of our remote ProjectMe’s from Texas at the beginning of her journey last year. Notice the tattoos. Her transformation was nothing short of unreal. Check out the tattoos…it’s hard to believe it’s her. This is her today, in the upper left, after 2 ProjectMe cycle. 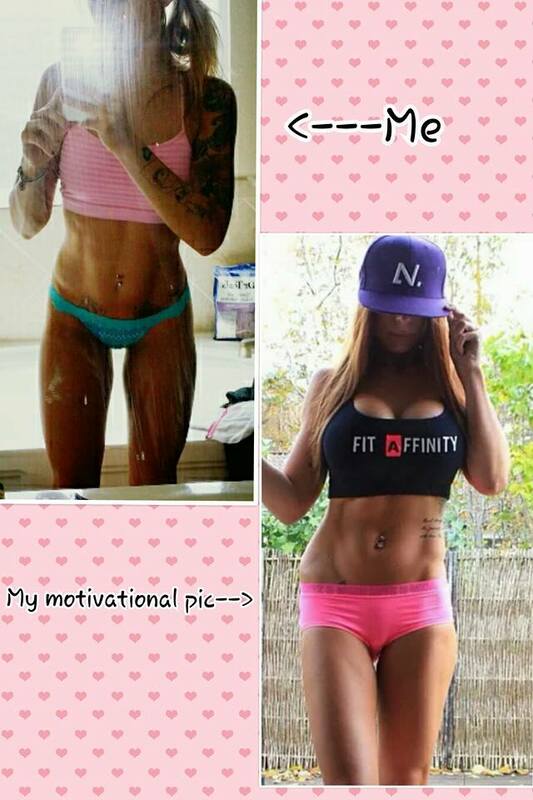 The picture in the lower right was her inspiration picture she posted when she started the program. I’d say she exceeded expectations. Consumers can generally expect to lose around 0.5 to 1 pound per week. Participants in ProjectMe consume two meal replacements a day and typically exercise 3-4 times week minimum for at least 30 minutes. ProjectMe® is arriving just in time for the new year with something new. We are running a virtual ProjectMe across the US in combination with local ProjectMe cycles. We’ve updated our topics to include dealing with the holidays, establishing healthy habits, proper exercise intensity and healthy nutrition. Only two more weeks to enroll! Last year, we launched accessorizing for your New Year’s eve party and had a huge turn out. Since then we’ve made tons of improvements to our ProjectMe program to help you get massive results on your 2015 fitness goals. Let’s face it, the holidays put us in the hole health-wise more than we care to admit. Jordyn, pictured on the left was one of our amazing transformations last year and has continued to improve on her goals over 2014. What is your goal for 2015! Find out more about ProjectMe! to get ready for Christmas season. For women under 35, that jumps up to 67%. Another 25% of women say they aren’t going to diet now, but might do a CRASH DIET once it gets closer to Christmas. Which means only 15% of women AREN’T planning on doing some sort of end-of-the-year diet. If you would like to participate in this year’s headstart on your NEW YEARS RESOLUTION, fill out the form below and we’ll have a coach to contact you shortly. We can meet one on one or you can show up to our informational meetings!